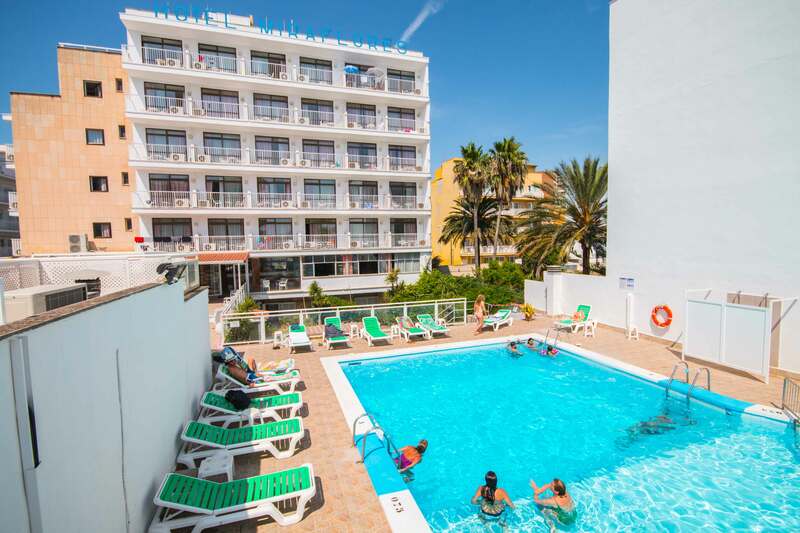 Enjoy the rest in your holidays in our hotel, go to the beach just 40 meters away or stay and enjoy our pool / solarium. Amic Miraflores Hotel offers facilities for the practice of skating on the promenade along the beach, cycling, car rental or enjoy your favorite sport on our beaches. The nightclubs and most famous nightclubs in El Arenal are also within walking distance and just 9km from the promenade of Palma. 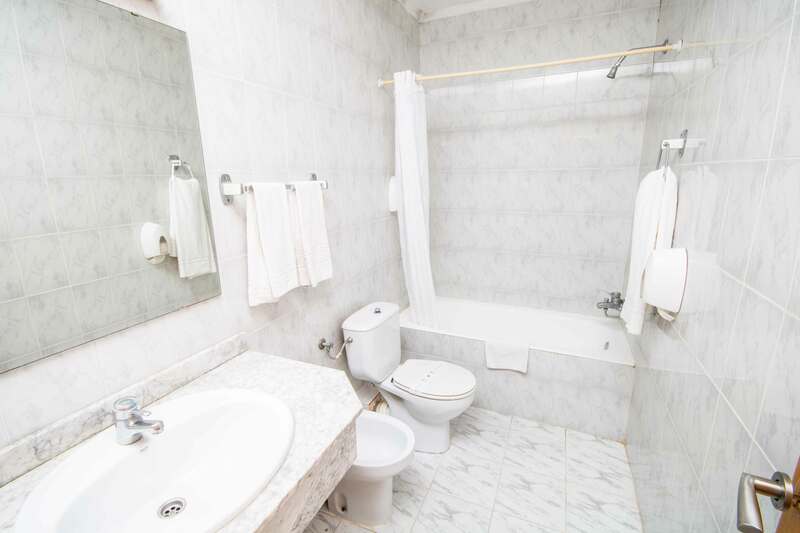 In its 69 comfortable and renovated rooms have a bathroom, telephone and terrace or balcony. We encourage our superior rooms with sea views, wifi, tv, hairdryer and safe. We offer 2 types of rooms: Single and Double with sea view or without sea view. Or ask you choose which one best suits your needs. The restaurant service for lunch and dinner takes place at the Hotel Amic Gala, in front of this hotel. 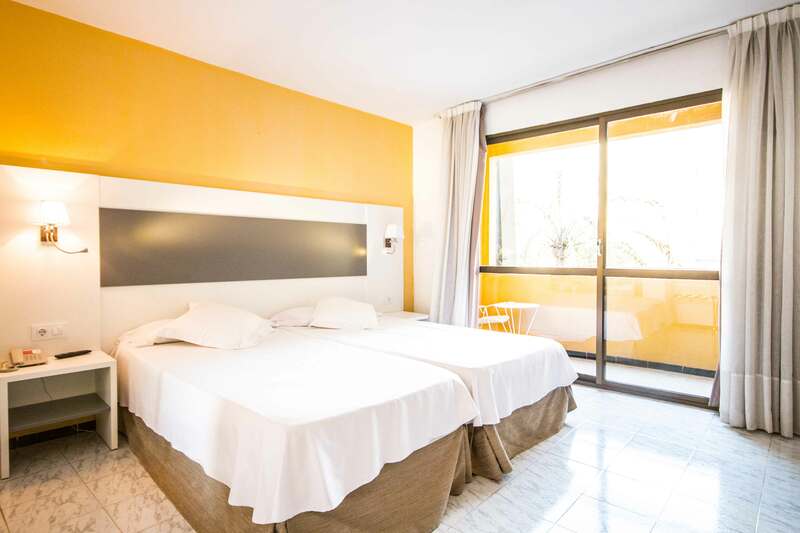 The Hotel Amic Miraflores is at the beachfront of the beach of Palma, Can Pastilla. Excellent connectivity by bus or driving. 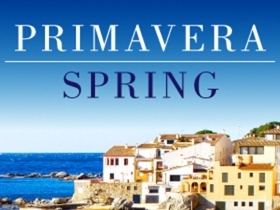 It is 2.5 km away from the Mallorca airport and 8 km away from the city of Palma. Moreover, you will be able to use a great panoramic terrace overlooking the beach of Palma for your company’s presentations, welcome cocktails, press conferences, outdoor parties etc, as well as a great relaxing swimming pool with deck chairs to enjoy a restorative swim. 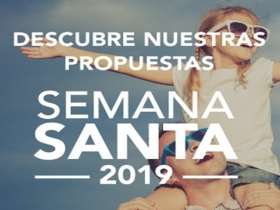 We do everything possible for the success of your meeting in Mallorca: Customized service, free Wi-Fi in common areas, good connectivity through public transport and taxis, wireless microphones, projectors, high definition audio system, boards, flipcharts, printers. 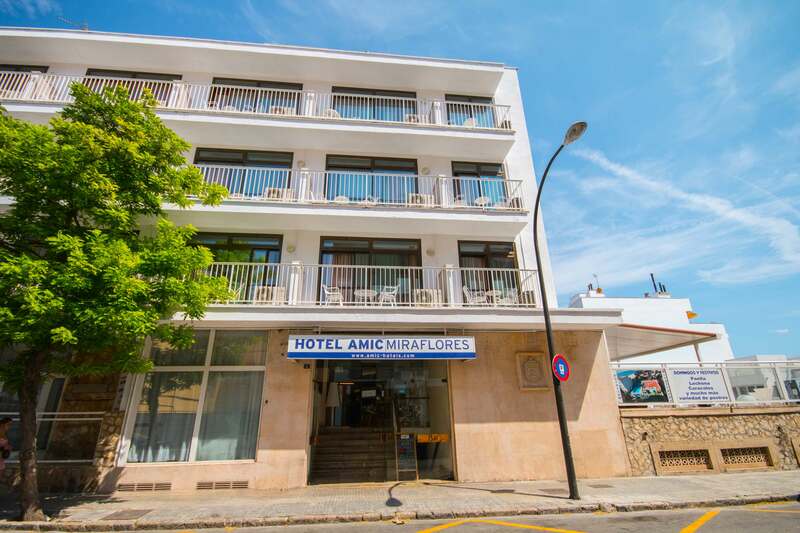 The clients of Hotel Amic Miraflores will be able to enjoy the bar and restaurant of Hotel Amic Gala, located right across the street, belonging to the same company. “Great stay” Miraflores was perfect for us. Close to the beach, oceanview, ok rooms, great employees and service! All this to a very affordable price! We will definately return! We were a group of friends going on a trainingcamp and Miraflores was perfect. Good restaurants nearby and also a lot of snackbars for a quicker meal. But the thing that was most memorable was the great service among Miraflores staff! Perfect! “EXCELLENT 2 STAR HOTEL” We stayed at the Miraflores for 10 nights on a B&B basis. The hotel has 5 floors and is situated in an excellent position. We stayed in room 508 on the top floor and had a lovely view out to sea from the balcony. The rooms were furnished to a good standard with a mini fridge which was useful together with a hairdryer in the bathroom. No tea making facilities provided.The beds and pillows were exceptionally comfortable and the rooms were serviced daily with clean towels and the beds were changed once during our stay. Breakfast was taken across the road at the Gala Hotel. A self service continental buffet breakfast was provided with a good choice. Staff kept the food replenished and were efficient at clearing the tables which meant there was always one available. The swimming pool had sun loungers and was never very busy. Staff friendly and happy to answer any questions or provide information. Overall for a 2 star budget hotel you could not do any better. We would recommend to others and would stay again at the Miraflores when next visiting Can Pastilla. You can get the no 21 bus to Arenal from the airport which stops right outside the hotel. It costs 3 euros and is only a short journey. Very reasonable prices in resort and would recommend Mel's Bar on the bay for a drink or a good value english meal with a great view. “Quality and good price” I was there with my girlfriend 6 nights. Breakfasts are in Hotel Gala*** (next to Miraflores) and are in buffet form. Good quality of food. Rooms are large, cleaning everyday. People at reception desk speaks well in English and are really nice. Hotels got a swimming pool, but if you want to go to the beach it's next to small street. Miraflores is in center of Can Pastilla. Near you've got cheap store Spar if you want to buy some food, drinks. You can use also a hotel bar. In our room was clima and ... fridge! For us it was a perfect. Bathroom got and a bath with shower. “SHORT BREAK” My wife and myself booked this hotel independantly for 5 nts 16-21 september 2013 B&B, hotel is in a really good location near the beach and restaurants, bus stop near by and taxi not too far away either, as previously mentioned, breakfast is across the road in the sister hotel, not all that was on the menu was for me, but I did find something. If you are looking for somewhere near the airport then this is fine and only 10 mins in the bus from the airport for about 2 euro each, we took a taxi back and it was 15 euros. Pool area was quiet but this could have been the time of year, whe we were there the handrails at the rear of the pool were replaced with glass and made the pool area look nicer. Staff were all very friendly and helpful, and a big thanks to Marina who we booked through, we were given a room on the top floor with two balconies, the room was more than ample for our needs with a small fridge to keep the drinks cool, would havwe been nice if we could have made some ice with the freezer bags we took but wasn't too much of a problem,Air con was included as well. A bus trip into Arenal for a day we came across the largest beer garden/keller I have ever been in, I am sure we were the only Brits in there, but had a good time all the same,and it was happy hour so two for one two beers and two wines for 4.50 euros.this is up a side street from the main bus route in to Arenal from Can pastilla. BierKonig was the name of this place. All said I would recommend this hotel as a budget one but not too sure if I could do two weeks in Can Pastilla, I am sure if you were hiring a car to travel round the Island then would be more apropriate. For eating out, there are some nice restaurants near the harbour area, didn't find any that I could recommend as they we tried different ones each time we ate out at night and all were ok.